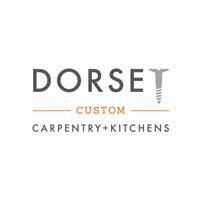 Dorset Custom Carpentry & Kitchens Ltd - Carpenter, Kitchens based in Iwerne Minster, Dorset. Hello, my name is Adam, welcome to my company Dorset Custom Carpentry and Kitchens Ltd.
We also supply and fit handmade custom kitchens and provide a full kitchen fitting service where we supply all trades to see each job is completed smoothly and efficiently. At Dorset Custom Carpentry and Kitchens, we pride ourselves on the all-round service we provide. Not only is the work to a very high standard but we can cope with both big or small jobs, and we are friendly, professional and organised. Heres Jake in his company van. Ready to start the day.